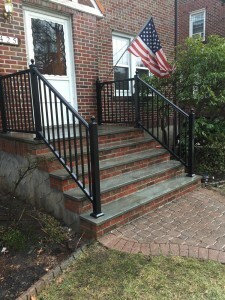 Are you looking for a Mount Vernon fence company to help you select black aluminum railing for your property? 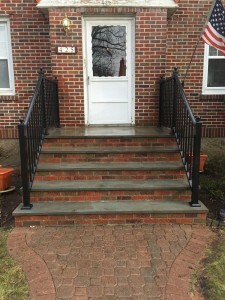 King Fence installs the best maintenance free railing, and these images are recent black aluminum railing done in mount Vernon for a client of ours. It is both durable and beautiful. There is nothing like the look o a great black aluminum railing at your front entrance. When you are searching for a Mount Vernon fence company to help you select and install aluminum railings at your property call King Fence, the leading Westchester fence company. 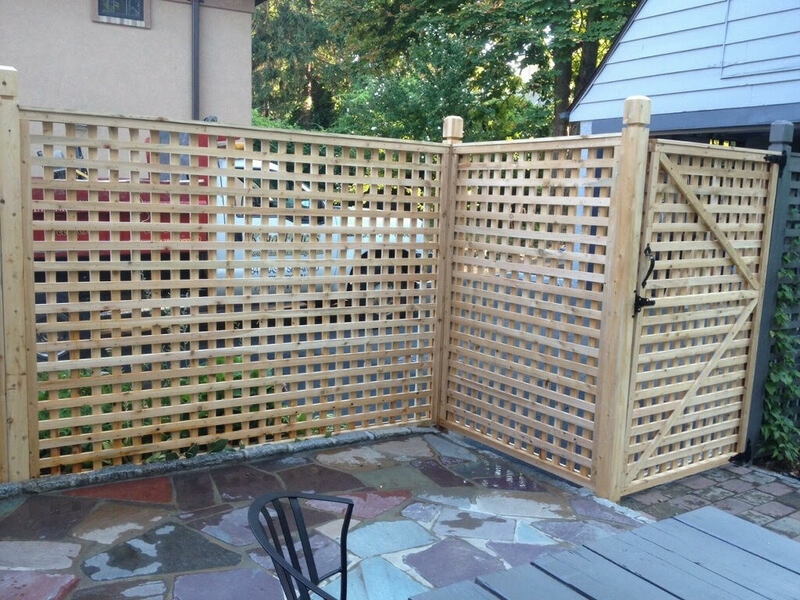 When searching for a Mount Vernon fence company there are many things to consider. How long have they been in business? Do they have great references? Do they have insurance? And there are dozens of other questions that can be critical to making sure you get the service and product you desire. Not all fence contractors are created equal. But we want to let you know about one of the oldest fence companies in Westchester; serving the Tri-State area. That company is King Fence. Since 1962 we have been providing the top rated fencing service. Property owners; residential and commercial, turn to King Fence when they want to work with the best. Our Mount Vernon Fence Contractors can help you select, install, and service your fence that best serves the functional and style needs you have. Each property owner in MT Vernon is unique, and at King Fence we understand that an individualized approach is the only way to go. Fully insured, working with the latest in tools and technology, our fencing contractors will get the job done safely, efficiently, and always with a focus on delivering the best customer experience. Our goal is to establish life long relationships with our customers. If you are a property owner in Mount Vernon and want to work with the top Mount Vernon fence company then give King Fence a call now. 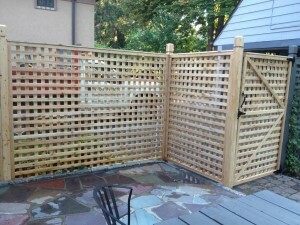 We are your MT Vernon fence company.